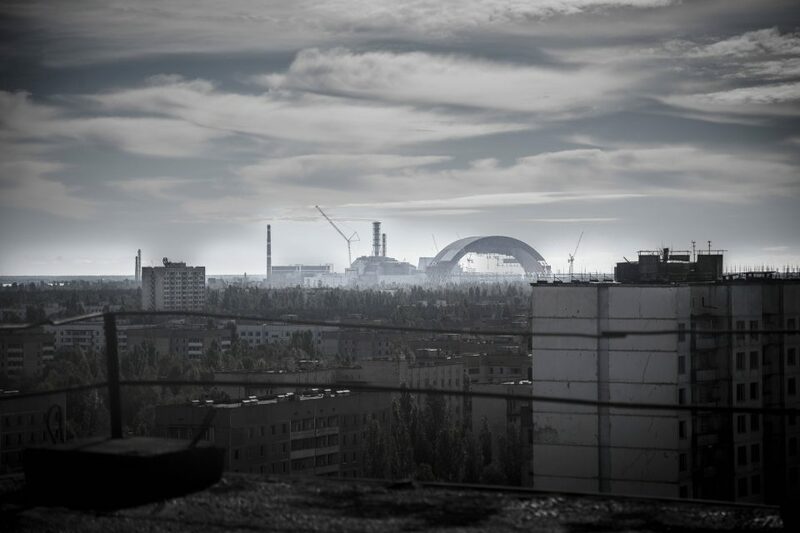 In an unprecedented feat of engineering, the world’s most infamous nuclear disaster site has been covered by a huge prefabricated steel arch designed to shield the world from its fallout. Made to fit over the so-called sarcophagus, a crumbling concrete and lead shelter initially erected at the site, the New Safe Confinement structure spans nearly 1,000 feet horizontally. 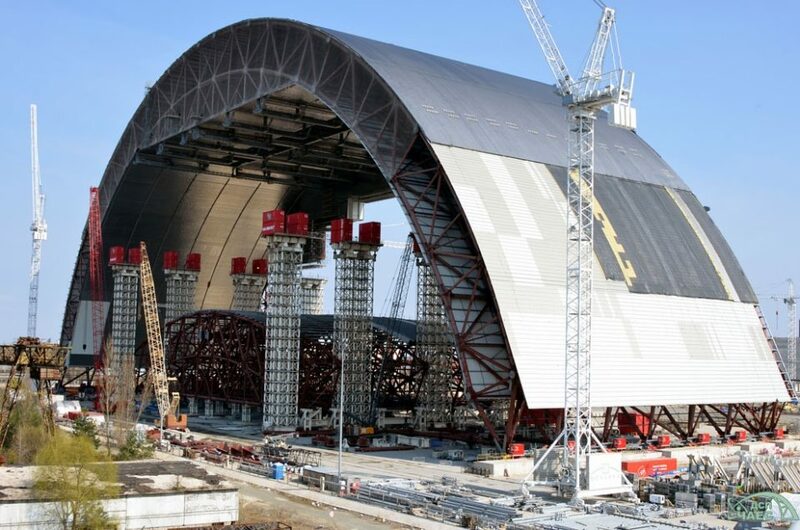 The original protective shell over the Chernobyl Nuclear Power Plant’s reactor was a hurried affair and never meant to be permanent — 4,000 people in the region were still killed in the initial catastrophic meltdown but many more were saved thanks to this hasty intervention. In the days, weeks and months following the disaster, hundreds of thousands of evacuees and emergency workers were exposed to dangerous radiation. At the cost of 1.5 billion dollars the new lid is also not a solution to last forever, but it is designed to last for 100 years. Weighing 36,000 tons and taller than the statue of liberty (354 feet) the monstrous structure is only partially complete — it still needs to be rendered airtight and radiation equipment is yet to be installed. The entire thing has been constructed offsite on nearby land before being moved into place.